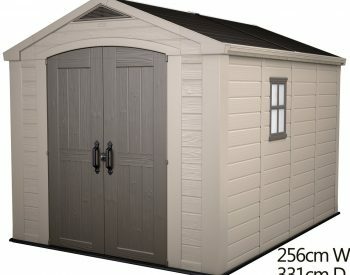 This stunning new design, the MANOR is from the worlds leading plastic shed manufacturer KETER. 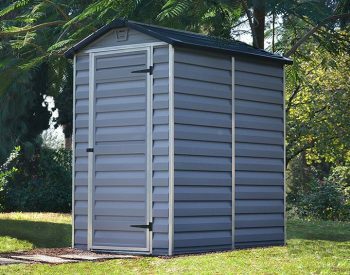 This shed will last a lifetime and adds an elegant touch to your backyard or garden, something a metal shed never will. 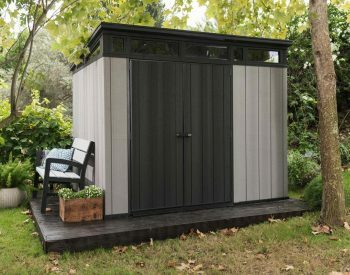 At Landera we have a wide range of sheds and we do really like the look and feel of this one. 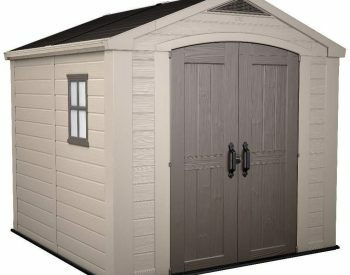 The double doors are a feature we have many customers looking for, in a garden shed this allows for ride-on lawnmowers and other large items to enter and exist easily. 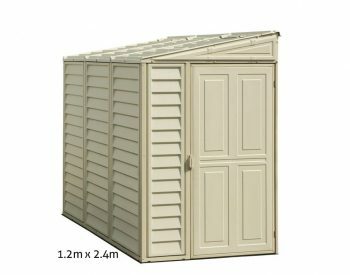 This is Keter’s entry level shed in this size, if you are looking for a more robust shed, look at the Factor range which we also sell. 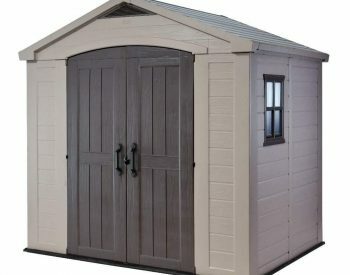 The high quality plastic / poly-resin these are made from is impervious to UV and will not rust, dent, peel or fade. 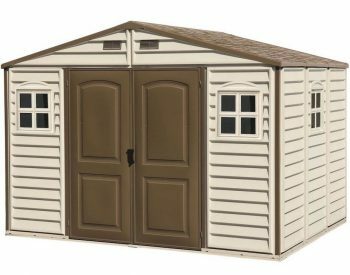 The double doors feature 2 windows which ensure you have enough light inside the shed also. 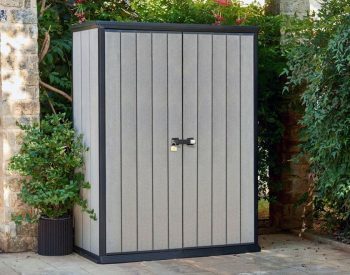 These are a maintenance free design, a hose off of any dust or dirt will be all thats ever required. 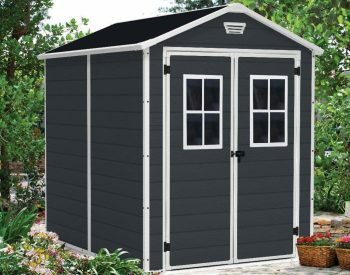 As with all Keter sheds, this shed includes an integrated flooring system. 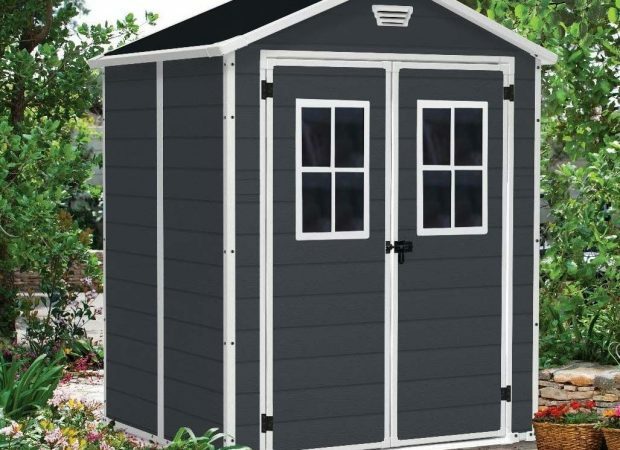 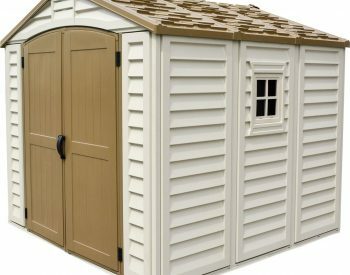 We are proud to sell KETER products and we know the KETER MANOR shed will satisfy. 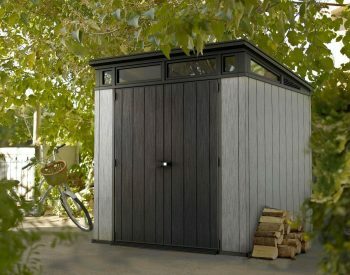 Love itEasy to assemble, extremely strong and looks fantastic. 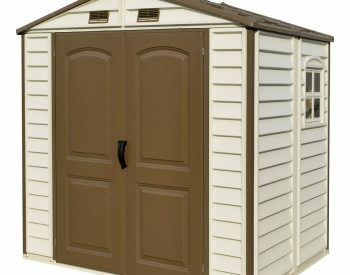 So impressed we bought three in different sizes.